The importance of having the right business card in this modern business world is that it a tool businesses need to use. Business cards are an effective method of advertising and it is a cheap way to get the word out about one’s business. So many people forget about the full value of having professional business cards on them and it’s important that this small piece of paper be a part of your business image. Business cards are the first item potential clients receive from you and it is your first opportunity to make a strong impression on them. Keep in mind that cheaper isn’t always the best option and it can affect that strong impression you desire to make. Look into enlisting the help of a professional designer to design your business cards unless you have the skills to design your own business card. The designer should be able to handle designing your brand logo image and other advertisement such as brochures, letterhead stationery, website, blogs, and social media accounts). Keep the business card simple and they should be 3.5” x 2” in size and there isn’t too much space available on the card. Avoid making your logo too large, don’t make the text too small that’s uncomfortable to read and it’s okay use white space on the card. 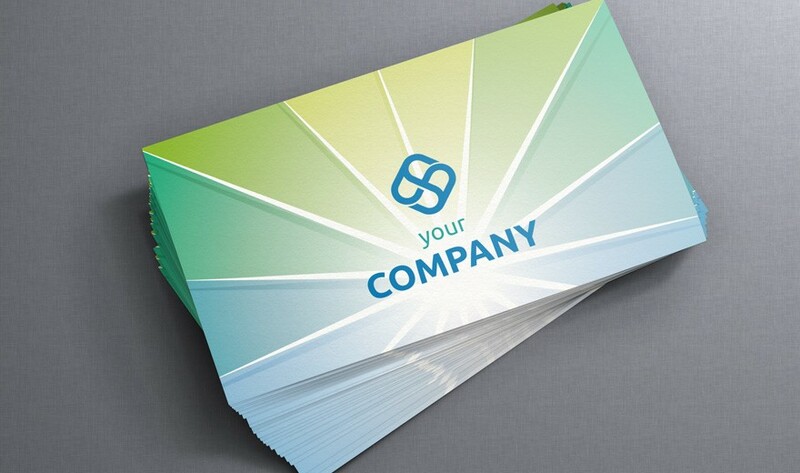 The business card should have your business name, your name, company’s logo, name of the company, company website address, phone number, address (if it is a physical location-based business), and email address. If space permits add on a fax number, or cell phone number. Changing the shape of the card is conventional and unique however, one thing to keep in mind with that it should easily fit in a person’s wallet. Avoid cluttering up things in the design of the business card and they should be simple and clean. To create a powerful message on your business card, it will need to inspire your prospects to take action after reading your business card. The primary goal of your business card is to interrupt your potential clients with a headline that will immediately grab your attention. Use the business card to educate them about your business, your products and services offered, highlights all of the values offered, and with that make them an offer they absolutely cannot refuse. The last line of your business card should have say something about seeing the opposite side of the card to see a special offer. The focus is on making it so irresistible that the prospect will turn over that business card to learn more about the special offer your business is offering them and respond to that offer. The business card should make an informational offer such as report, a CD/DVD, webinar or even a teleconference call. Take part in the social media revolution by creating a Youtube video that is approximately 1-2 minutes long explaining your expertise and put that the video url on your business card. The video should have someone to interview you in a Larry King exclusive interview style. This video will easily label you as an industry expert in the business and showing that you know and have experience in the industry. Do a secondary Youtube video of about the same length explaining the reasons why they should take this specific action with your business. Make sure you are looking directly into the camera for this video so they will see you are looking at them, adding in that personal touch. Add this second Youtube video on your business card too. Think about the response you desire for your business cards and the structure of the message on the card that will generate desired results. Stay informed about every marketing piece that is out there that can be used including business cards that should always focus on the art of persuasion. Finally think about all of your knowledge and skills to create these amazing business cards that will indeed draw in action you desire for your business.